Beginning in 1947, the Dar Curtis Bonspiel is the oldest statewide curling competition held in Illinois. 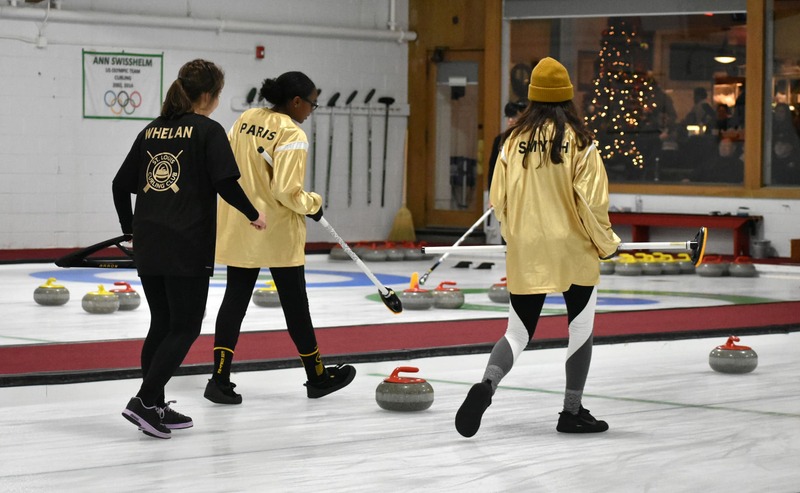 This year, 12 teams played in the two-day event hosted by Waltham Curling Club, the oldest curling club in Illinois. 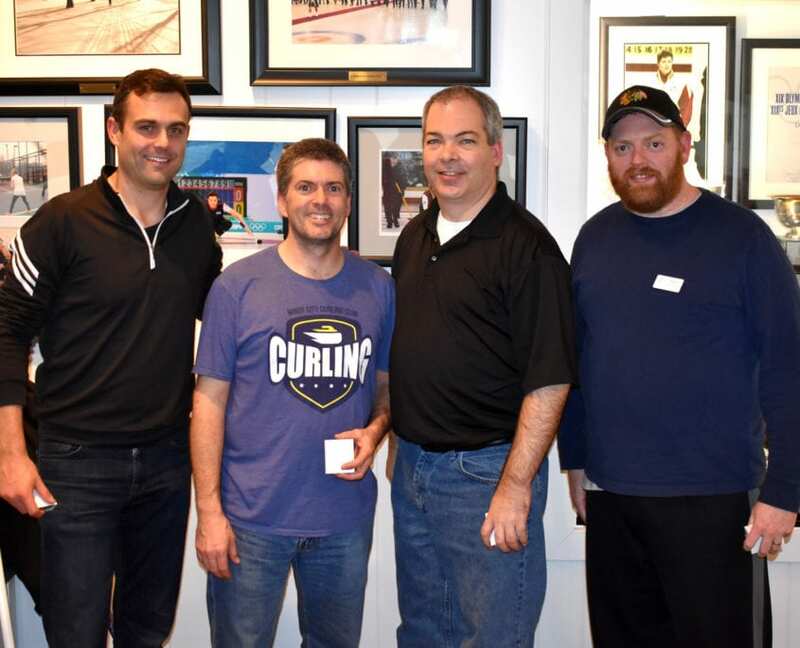 Thank you to all the clubs who attended the bonspiel and congratulations to all the winners and runner-ups! 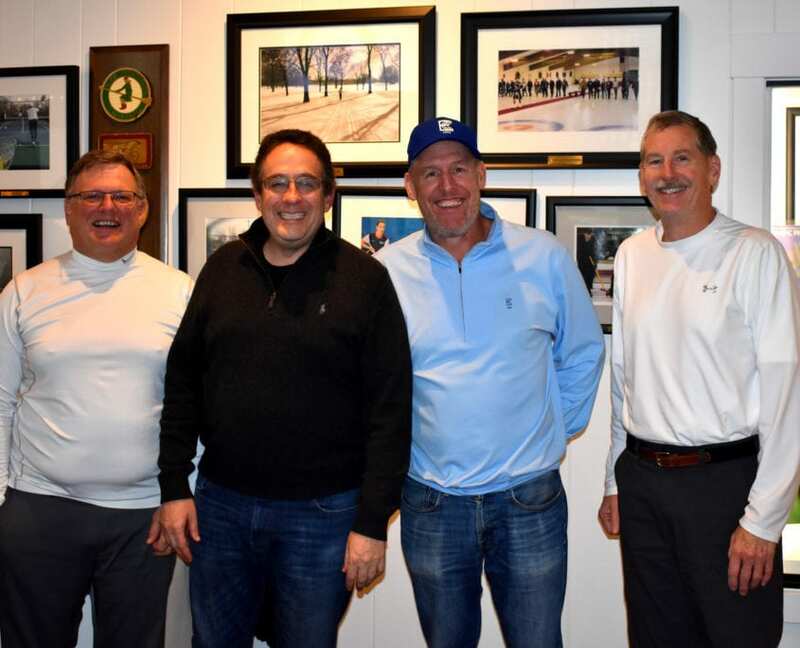 We look forward to seeing everyone again at the next Dar Curtis Bonspiel! The Midwest Curling Association (MCA), a regional association of the United States Curling Association (USCA), was founded in 1945. 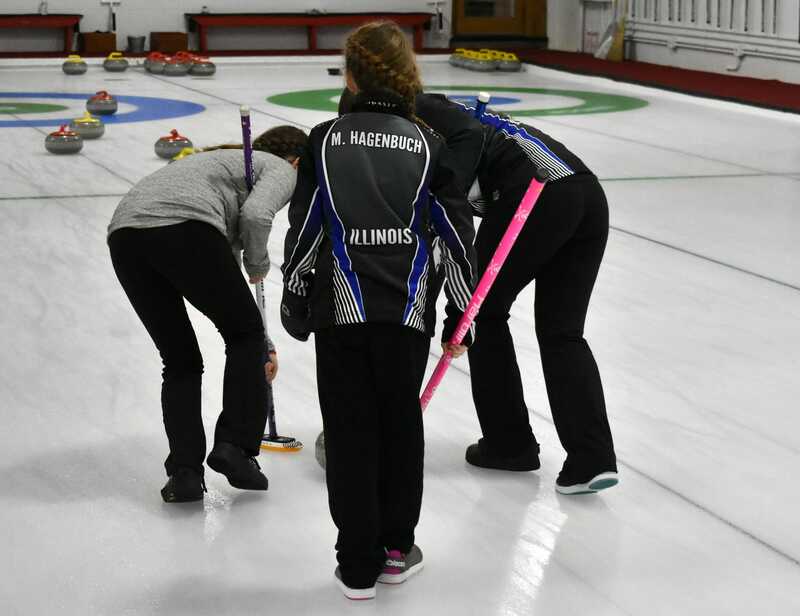 The purpose of the MCA is to promote the game of curling at the nine regional curling clubs located in Illinois, Missouri, and Iowa. The MCA Board is composed of four main positions: President, Vice President, Treasurer, and Secretary. On top of that, each club within the region has a representative. Lastly, a USCA representative rounds out the team. The president of the MCA has a two-year team, whereas, all other positions are up for election every year. 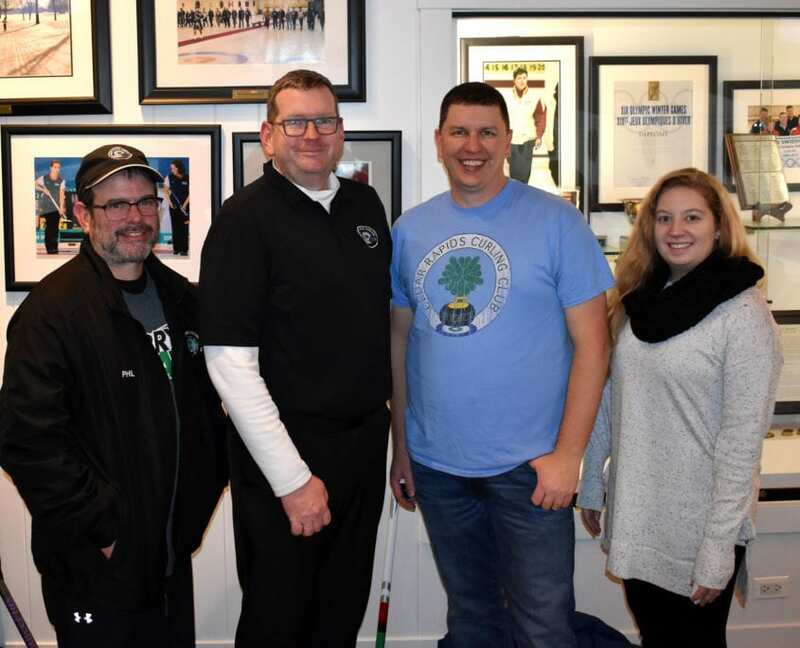 We asked our board members and representatives a few questions so the regional curling community could get to know the individuals behind the Midwest Curling Association. Please enjoy reading their responses below. Resides in Downers Grove, IL. 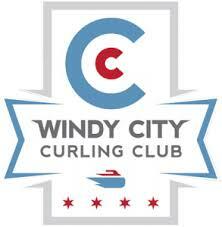 Member of Windy City Curling Club. David has been curling for 12 years. After watching the Olympics in college, he decided the sport would be fun. 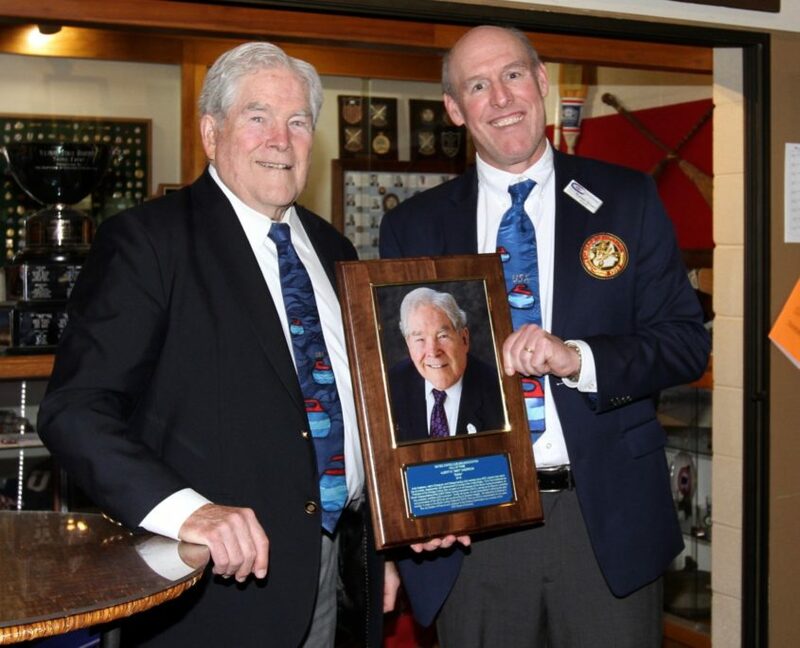 He attended a group outing at Waltham Curling Club, and the rest is history. How long have you been on the MCA Board? David has been a part of the MCA Board for six years in various capacities. One year as the Waltham representative, one year as the Windy City representative, two years as Vice President, and two years as President. What is your favorite part about being involved with the MCA? David enjoys helping grow the sport at the regional level. In addition, he likes providing another avenue (i.e., MCA bonspiels) for regional clubs to compete against each other. What is your proudest curling accomplishment? Resides in Libertyville, IL. Member of Exmoor Country Club. 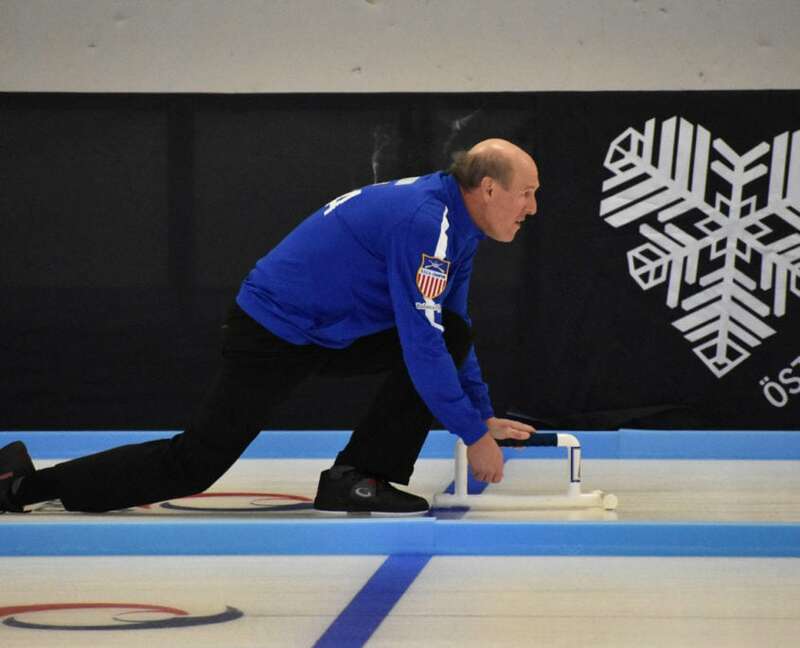 Jeff has been curling for 45 years and began after being introduced to the sport by his family. Jeff has been on the MCA Board for several years. He was initially the Exmoor representative for one year before moving up to Vice President. Jeff enjoys watching the sport of curling grow at a regional level. Winning gold and earning the title of Team USA twice at the USCA Senior National Champions. 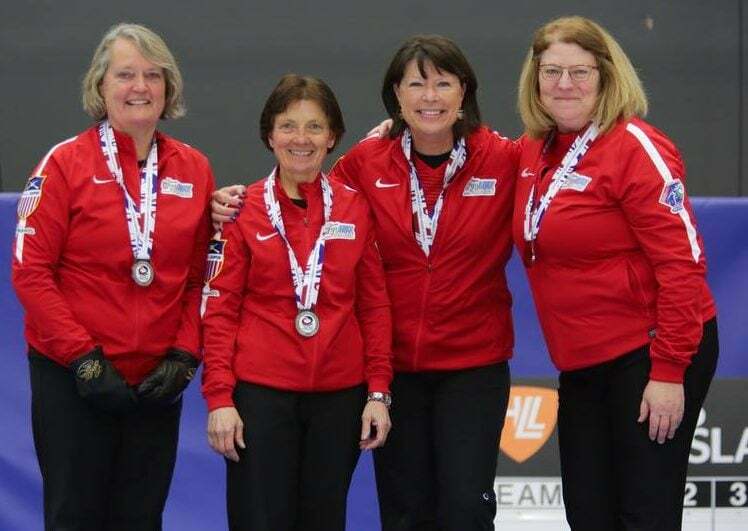 And winning the bronze medal at the 2018 World Senior Curling Championships. Resides in Glenview, IL. Member of Exmoor Country Club. Mark has been curling for ~18 years. His friend, John Winand invited him to the Golfspiel at Northshore. Mark then attended a learn2curl where his main instructor was Ann Brown. After learning, Mark signed up for a league and after a few nights was hooked. Mark has been the MCA treasurer for 10+ years. Mark is delighted by the growth of regional curling. He is pleased to watch as clubs gain new members every year and as more clubs are added to the region. In addition, Mark enjoys watching as some MCA clubs transition from arena ice to dedicated ice. 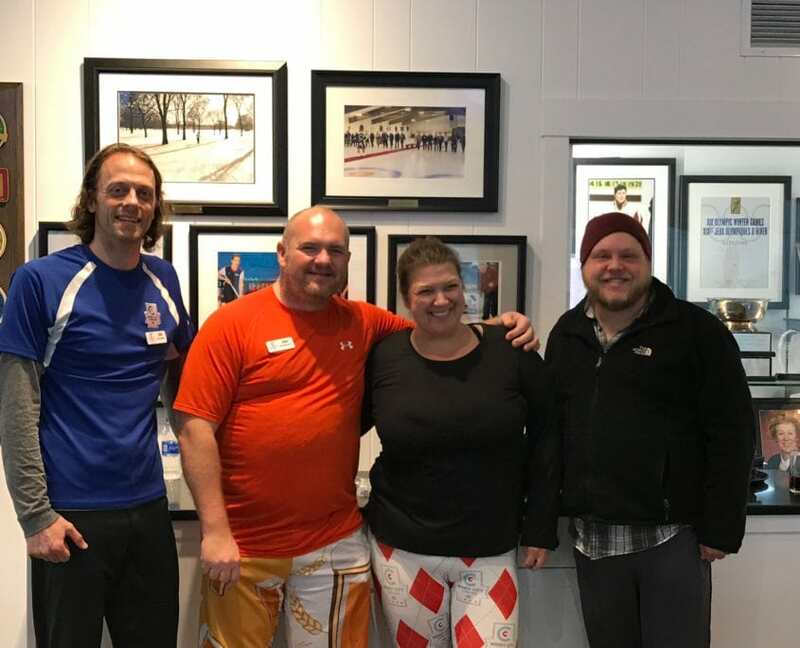 During his first mixed curling experience, Mark made it to the first event finals at the old Northshore Early Bird Mixed Bonspiel. 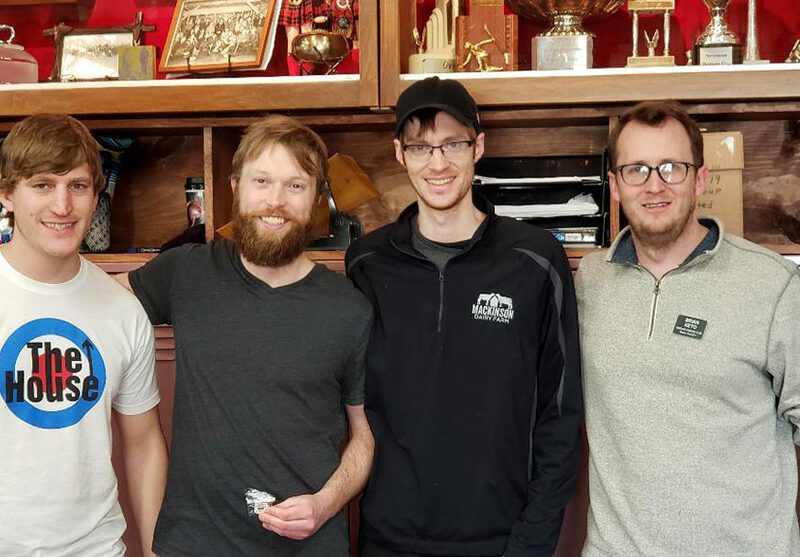 Also, at his first men’s bonspiel, the Exmoor Men’s Continental, Mark, and his team won the third event. Resides in Naperville, IL. Member of Windy City Curling Club. How long have you been curling? And what got you involved with curling? Tonya has been curling for three years. She bought her husband a learn2curl session for Christmas and was immediately hooked. This is Tonya’s first year on the MCA Board. As a new member of the board, Tonya looks forward to learning more about how the MCA supports the region’s curling programs. Resides in Iowa City, IA. Philip has been curling for five years. He started by attending a learn2curl out of curiosity. His main goal for attending the session was to get a picture with a broom as a gag. It turned out he enjoyed the sport so much that he became instantly enamored. Philip has been a representative for one year. 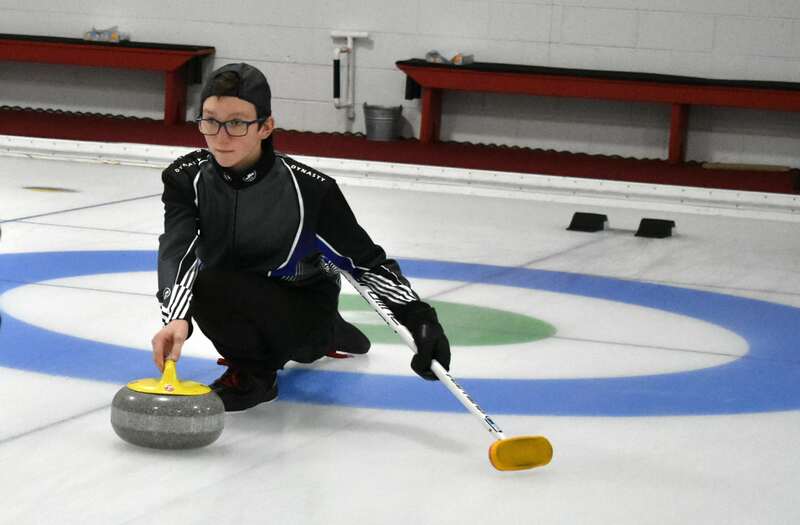 Philip appreciates the exchange of local information and advice that comes along with being apart of the MCA; in addition, he enjoys the opportunities offered by the MCA to curl on dedicated ice at MCA events. 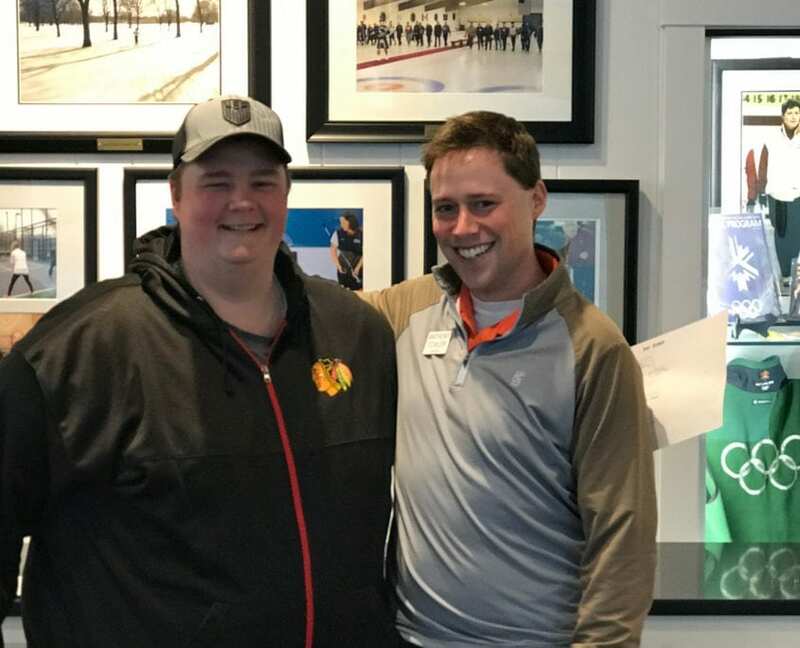 While Philip’s most embarrassing accomplishments come to mind more quickly, he was most proud when he watched Cedar Rapid’s club members take the day off work to volunteer at a corporate mini-spiel that raised over $5,000 for United Way. Resides in the Winnetka, IL. Jim has been curling for 50+ years. His parents belonged to the Madison Curling Club, which was the hub of their social life. 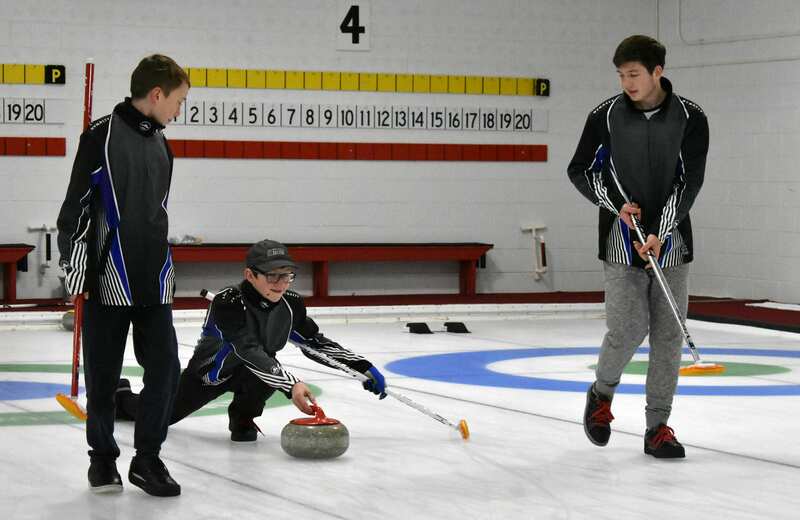 In high school, he played on the boy’s varsity curling team for three years. This is Jim’s first year as an MCA representative. Jim likes the idea of helping curling evolve and grow in our area at an opportune time due to last years Olympic success. He believes that if we can help individual clubs and events thrive, then the MCA is doing their job. The 1985 Men’s National Championship win and the subsequent semi-final finish at the World Championships, the Silver Broom. Michael saw curling in the Olympics many years ago and threw his first stones at St. Paul Curling Club in 2002. Michael has been a representative for two years. He appreciates how the MCA allows him to get perspectives from other clubs on their operations and goals. 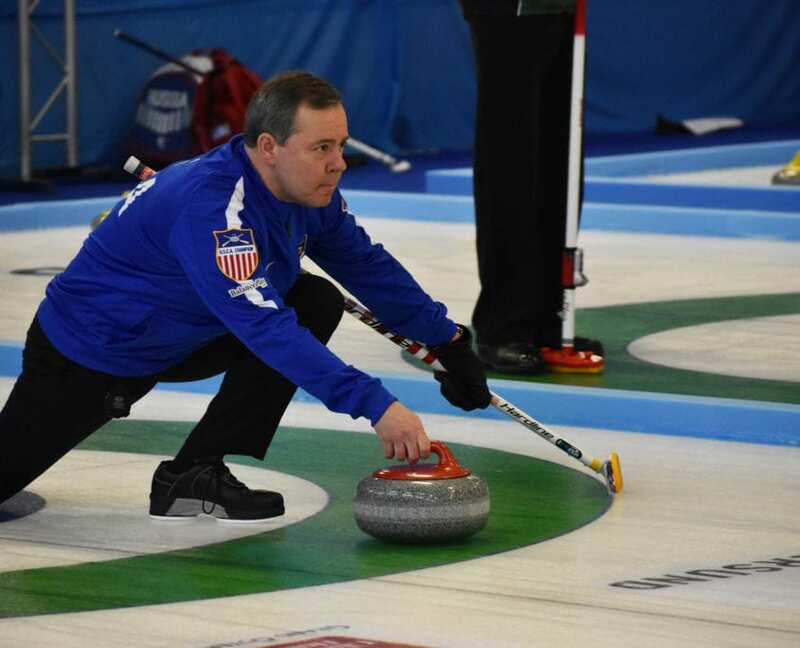 Steve has been curling since he was 16 years old and was introduced to the sport by his father, Jeff Wright. This is Steve’s first year as an MCA representative. 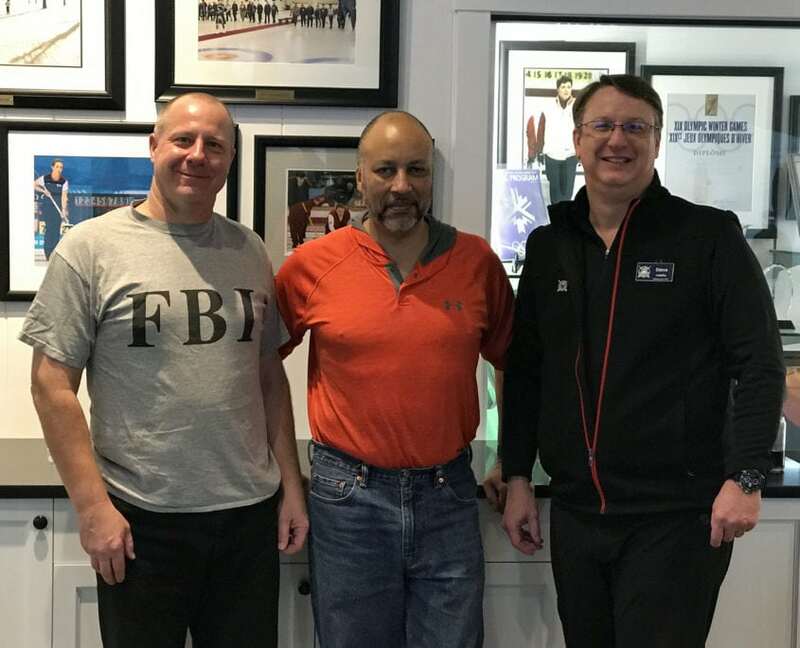 Steve looks forward to learning more about how the association is comprised and how it can help grow the sport of curling. Resides in St. Louis, MO. Becca has been curling for 12 years. She was introduced to curling after attending an open house with a coworker in Seattle. A year after the open house, she signed up for a novice league and has been curling ever since. Becca has been a representative for two years. Becca has enjoyed getting to know and become friends with curlers from other clubs in the MCA. 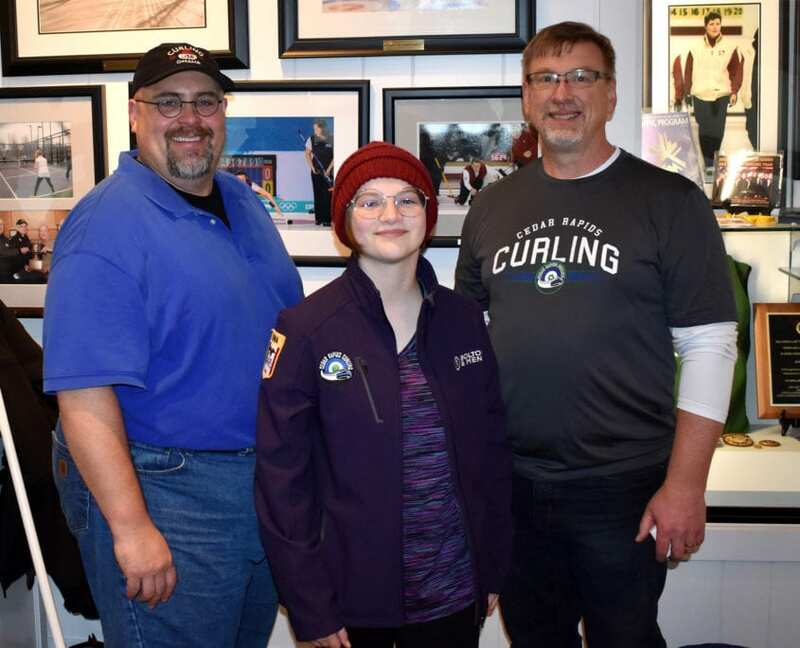 She has also appreciated the opportunity to participate in the MCA Illinae Bonspiel. 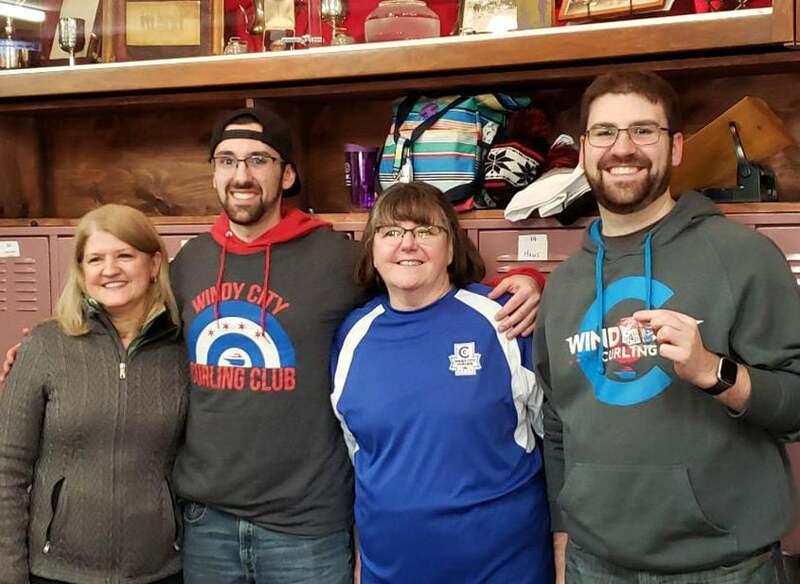 On Ice: Winning the A event at the Illinae Bonspiel and being runner-up in the A event at the Granite Curling Club Women’s Spiel and the Waltham Mixed Bonspiels. 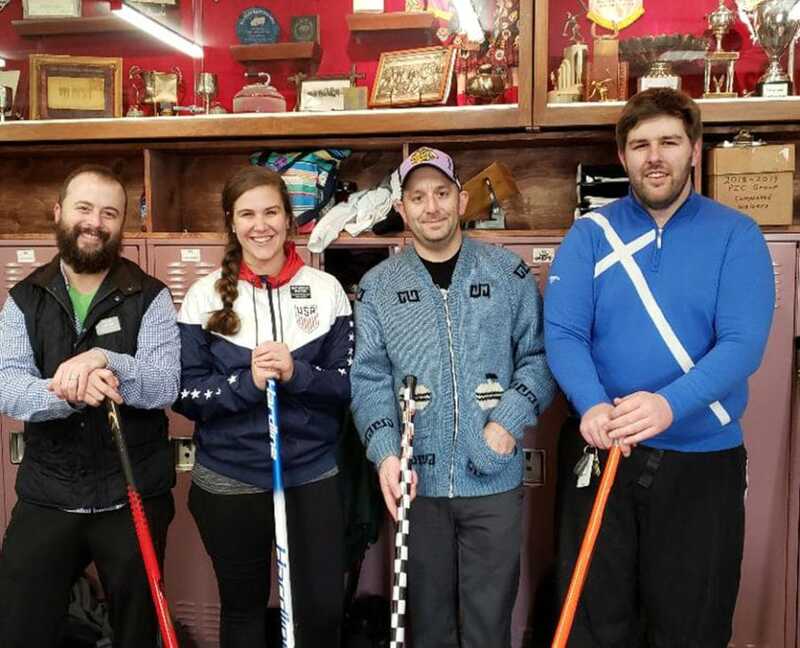 Off Ice: Contributing to the growth and expansion of St. Louis Curling Club which had no ice for several years prior to her arrival, but after much hard work now has 80+ members, runs multiple leagues, and hosts several bonspiels. Steve has been curling for 13 years. He was first introduced to outdoor curling on a ski trip to Zermatt, Switzerland. That trip was immediately followed up by a group trip to Waltham Curling Club. He has been on the MCA Board for a year. 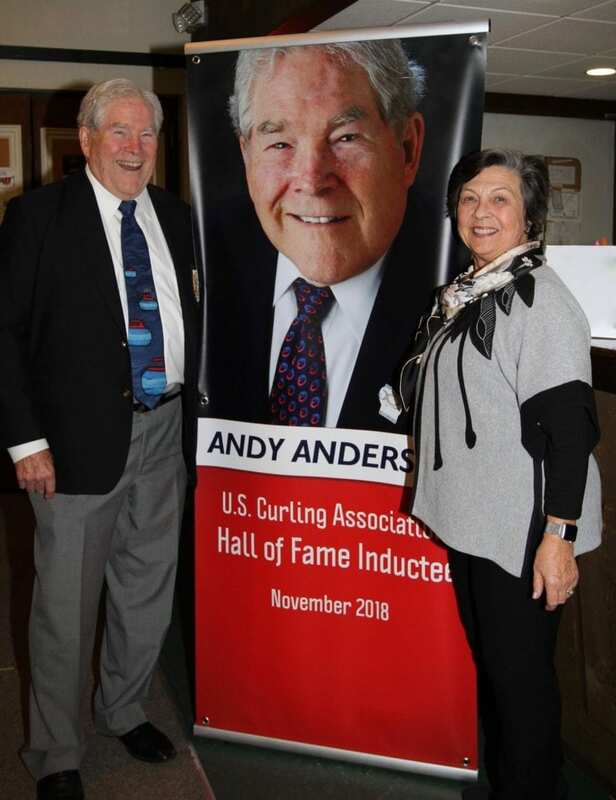 Previously, he served as a club representative for Illinois Central Curling Club. What is your favorite part about being involved with the Midwest Curling Association? Steve appreciates being able to call into MCA meeting by phone and learn about the progress of curling in the region. Resides in Lake Forest, IL. Walter has been curling for 25 years and was introduced to the sport during a guest night. Walter has been on the MCA Board for 15 years in various capacities. He has served as a marketing specialist, club representative, and president. Walter appreciates how the MCA encourages club collaboration which weaves the curling community together. Resides in Downers Grove, IL. Jeff has been curling for eight years. His co-worker, David Jamros, got him involved by inviting him to a group outing at Waltham Curling Club. Jeff has been a representative for five years. 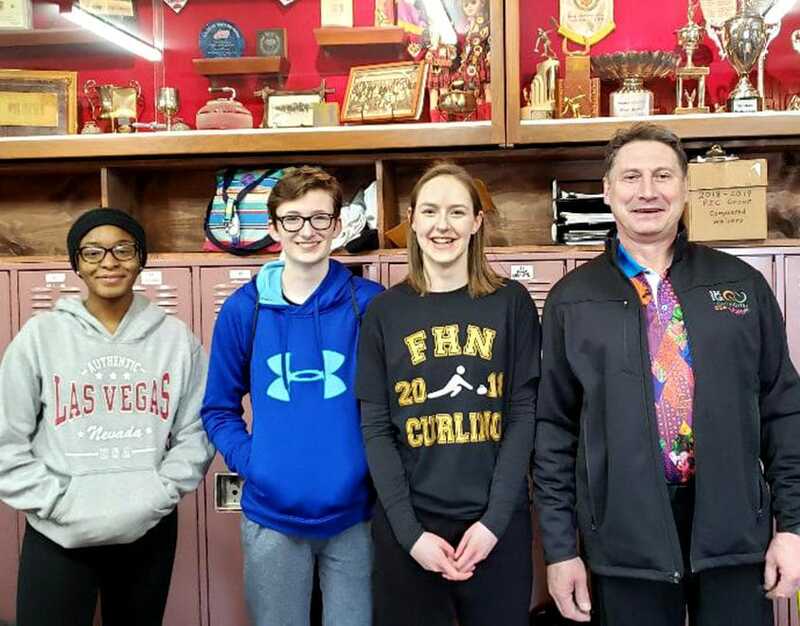 Jeff loves the comradery that each club has with each other and their willingness to help, not only the sport but the individual curlers. From veteran curlers to the brand, spanking, new ones. Resides in Lake Forest, IL. Member of Exmoor Country Club. 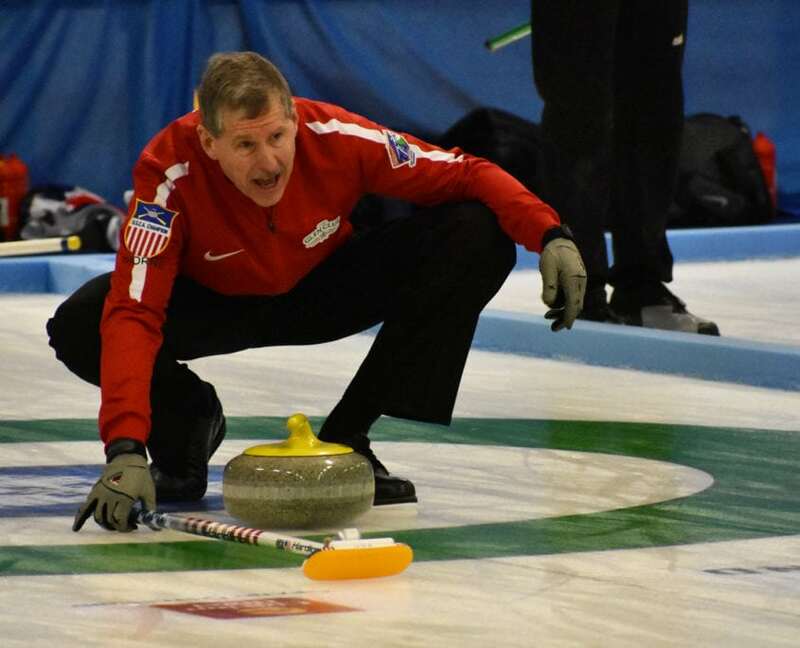 Russ has been curling for 44 years and was introduced to this sport by his parents and grandparents. Russ has been on the MCA Board for 12 years in various capacities. He has been the Exmoor representative, Vice President, President, historian, and now USCA representative. Russ enjoys watching new curlers progress in the sport. Winning the gold medal at Senior Nationals and earning the title of Team USA (twice). 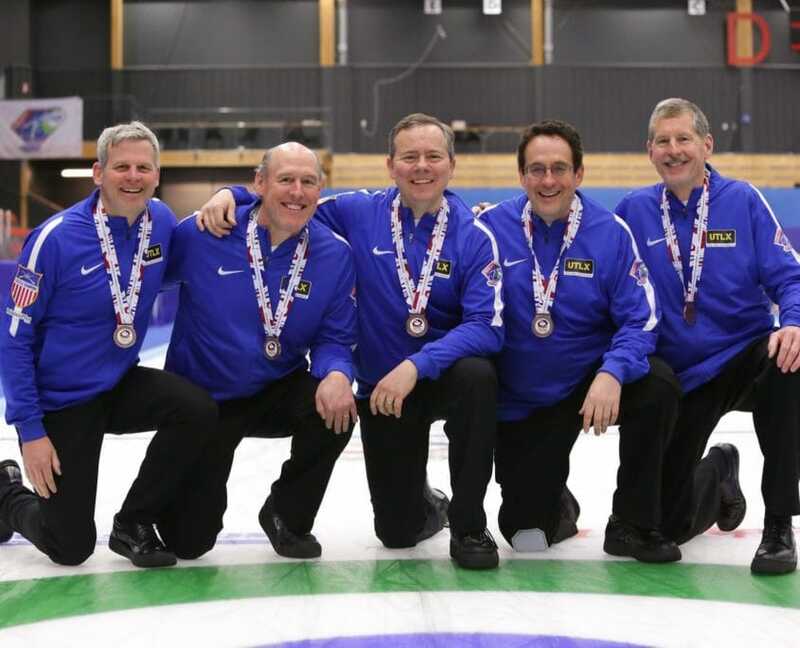 Winning the bronze medal at the 2018 Senior World Championships. Thanks to all the members of the MCA Board for their contributions to our regions curling programs! 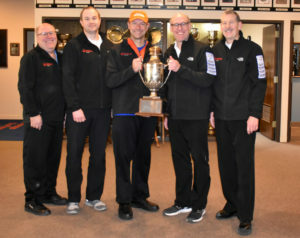 Congratulations to Team Wright, the winners of the 2019 Midwest Curling Association Men’s Club Playdowns. 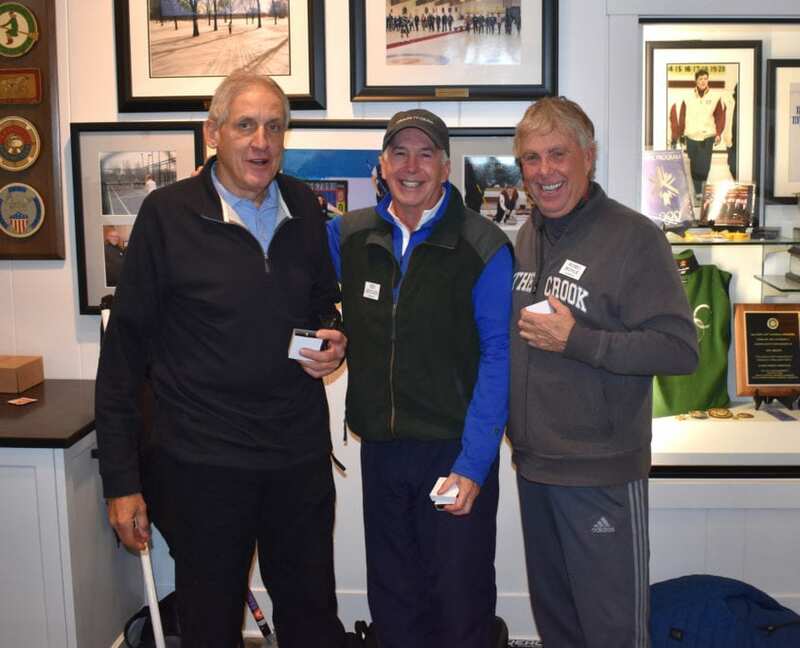 In March, this team from Exmoor Country Club will compete in the USCA Club National Championships held in Lakeville, Minnesota. Team members include Jeff Wright, Russ Brown, David Geake, Steve Wright, and Ken Brown. 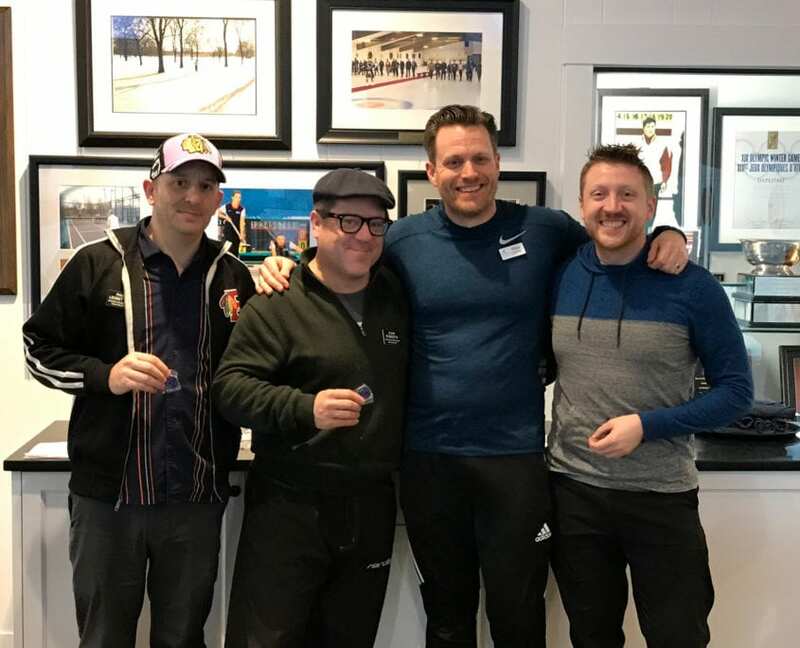 Between January 11-13, four men’s teams competed in a double round robin at the 2019 MCA Men’s Club Playdowns held at Chicago Curling Club. 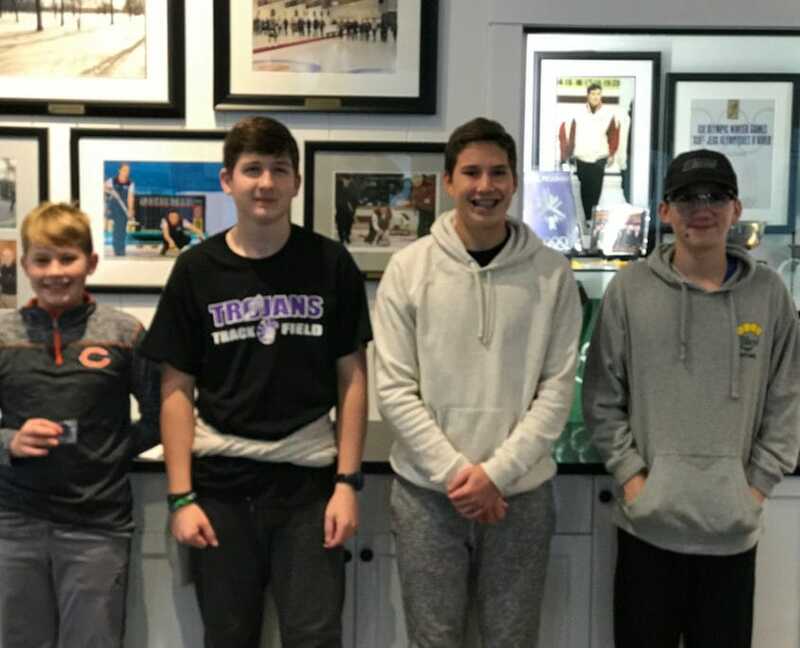 Team Murphy (Chicago Curling Club) and Team Wright (Exmoor Country Club) began strong with solid victories over Team Stoddard and Filipiak (St. Louis Curling Club), respectively. As gameplay continued, Team Wright and Team Murphy continued to play well and dominated the round robin event. On Saturday, Team Wright pulled out victorious with a 12-9 finish against Team Murphy. The Club National Championships began in 2005 and was established to determine the top teams from each region. 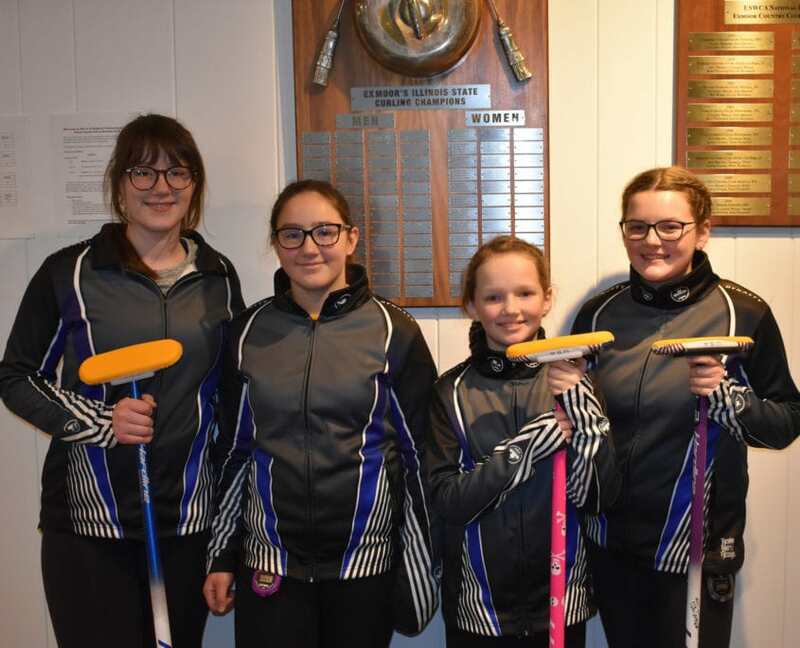 This year, since only one women’s team registered for the playdowns, Team Gaum from Chicago Curling Club will automictically be sent to nationals as the MCA representatives. 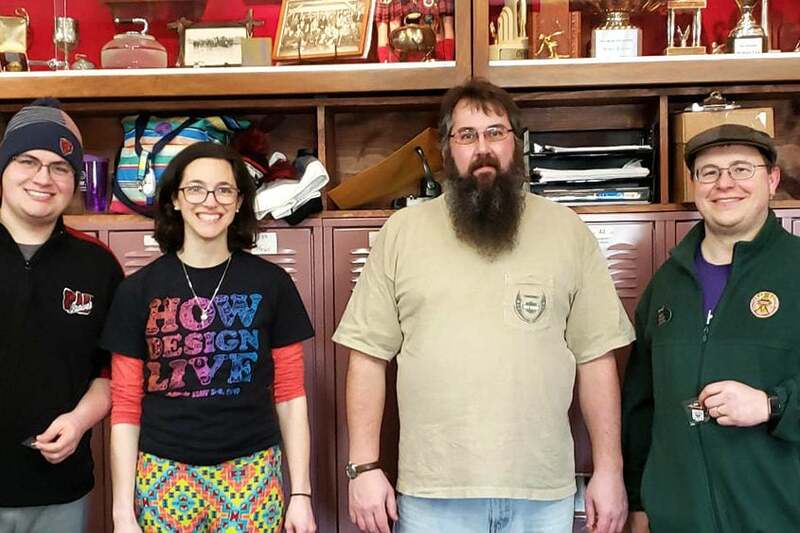 Team members include Sara Gaum, Kelly Zahn, Kailey Meyer, and Eleftheria Loughlin. We look forward to cheering on Team Wright and Team Gaum at the Club National Championships! Thanks to all the teams and spectators who attended the men’s club playdowns. 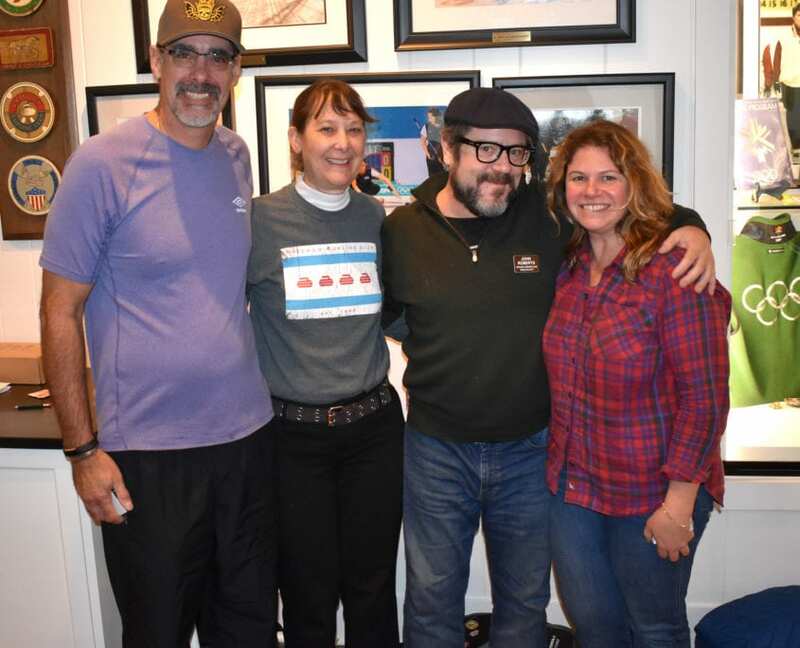 Thanks to Chicago Curling Club for hosting the event. Also, we want to extend our gratitude to Tracy Lawless for officiating the event and to all the volunteers who helped as timers during the competition. 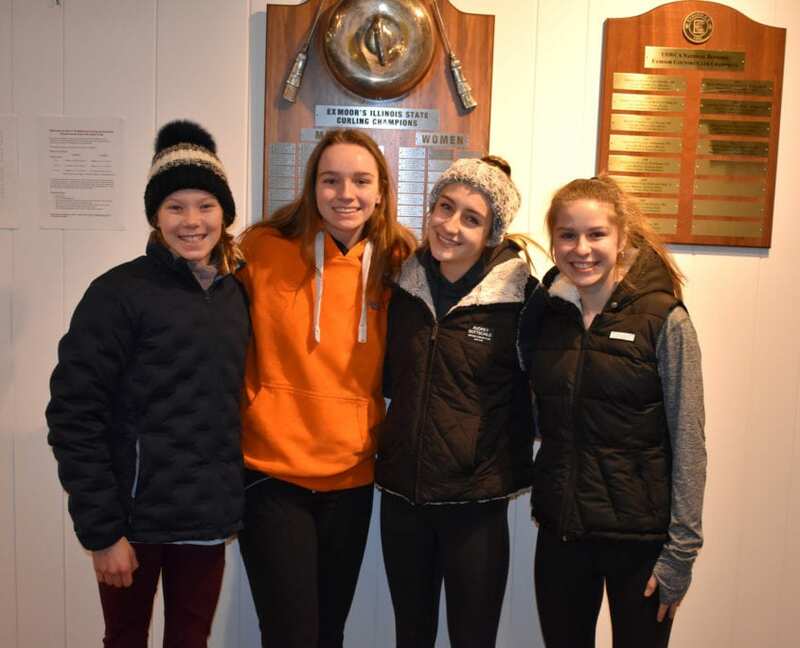 Congratulations to the girl’s team from Waltham Curling Club and the boy’s team from Exmoor Country Club for winning the 2019 U18 MCA Regional Playdowns. In March, both teams as representatives of the MCA will travel to Chaska, Minnesota to compete in the 2019 U18 National Championships. The girl’s team from Waltham includes Mae Hagenbuch, Genevieve Salander, Bella Hagenbuch, and Liberty Salander. 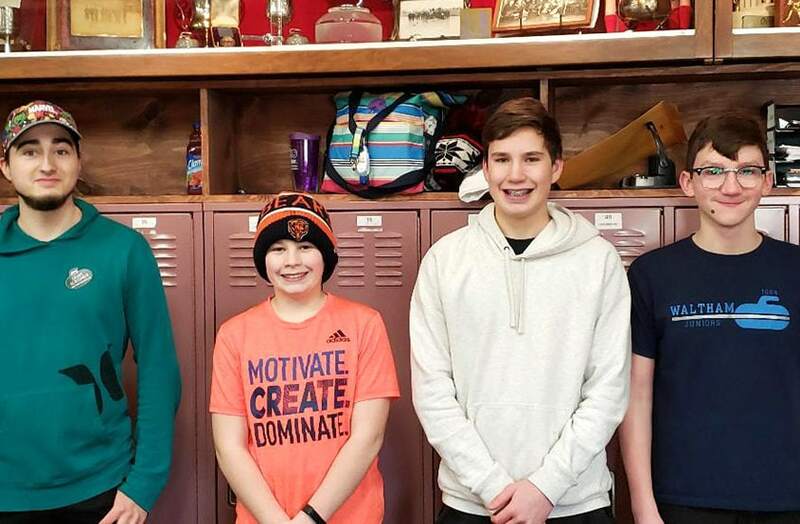 While the boy’s team from Exmoor includes Max Kassner, Nick Schallmo, Koen Brown, and William Ortell. 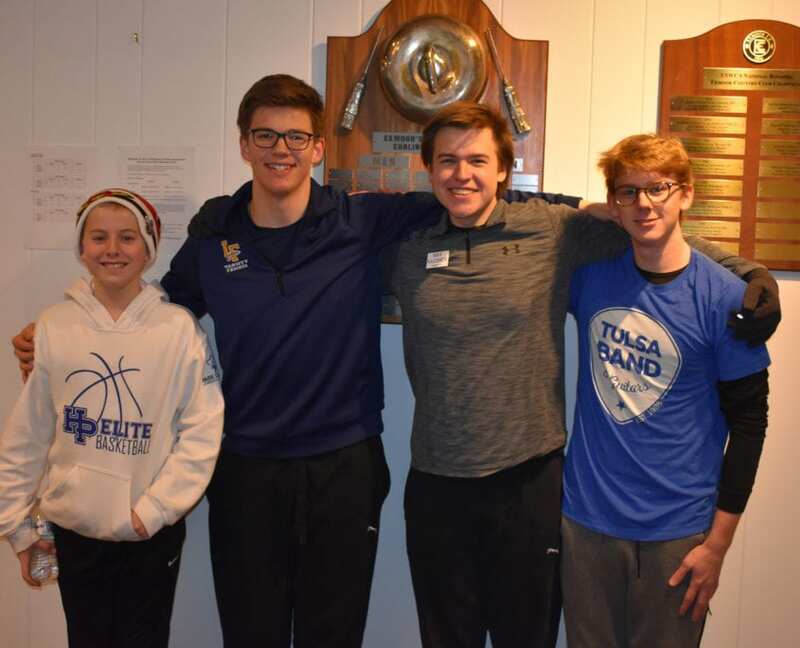 On December 27th, three girl’s and three boy’s teams from the region competed at the U18 Regional Playdowns at Exmoor Country Club in Illinois. 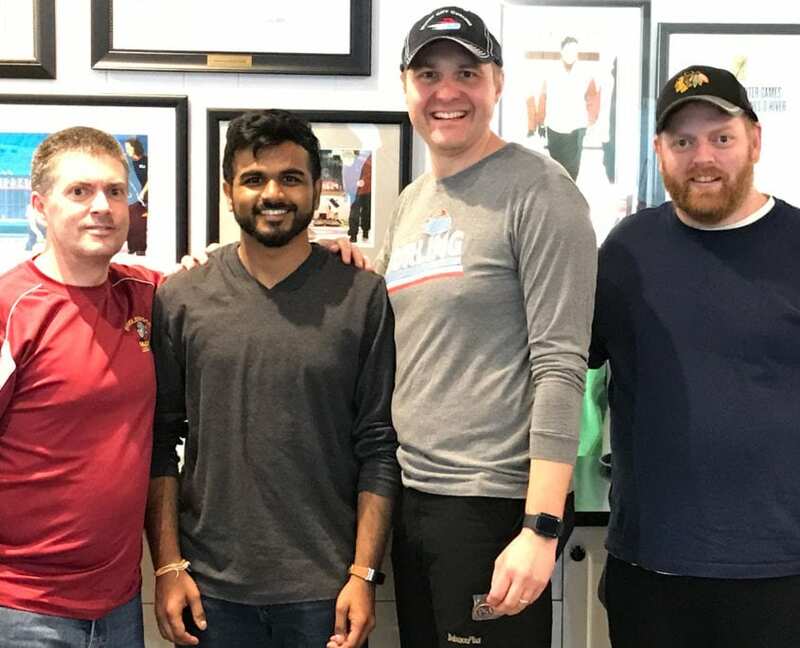 To determine who would represent the Midwest Curling Association at nationals, teams played a round robin (8 end games). In the morning, the Waltham girls began strong with a 10-2 win against the girl’s rink from Exmoor. The Exmoor boys won 9-0 against the Waltham boy’s team. Teams from St. Louis Curling Club and Exmoor Country Club curled against each other in the next draw. Both the Exmoor girls and boys won with a score of 10-4 and 16-2, respectively. In the afternoon draw, the Waltham girls played secured their spot at Nationals with a 12-3 win against the girl’s team from St. Louis. The Waltham boys beat the team from St. Louis with a score of 12-1. 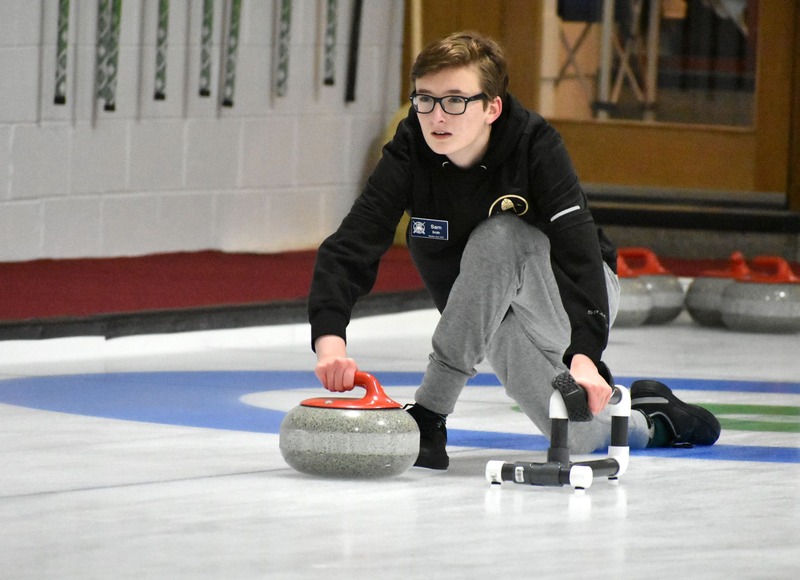 After finishing 2-0, the girl’s team from Waltham Curling Club and boy’s team from Exmoor Country Club secured their spot at the U18 National Championships. 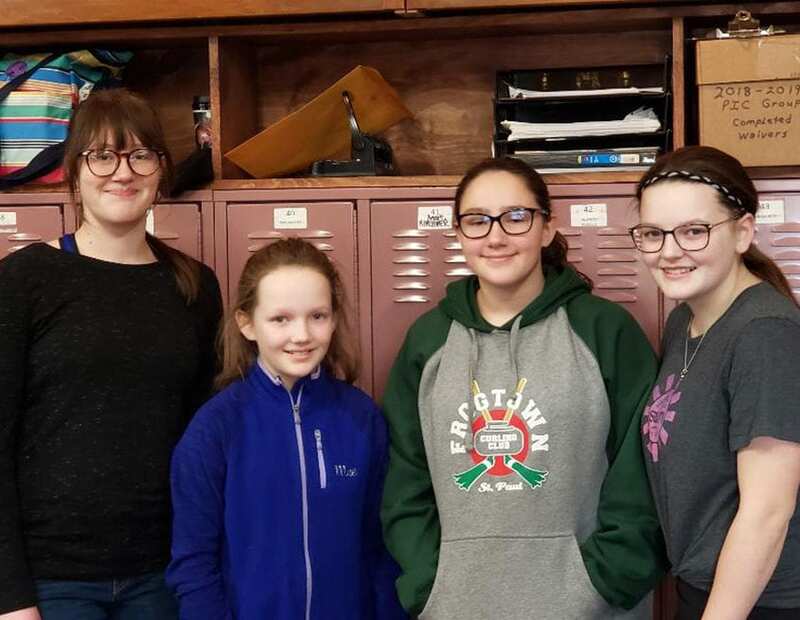 With a 1-1 finish, the runner-ups at playdowns were the girl’s team from Exmoor (Faith Geake, Audrey Gottschild, Kasha Kassner, and Audrey Zimmerman) and boy’s team from Waltham (Max Salander, Logan Brandner, Aaron Reddin, Mason Videgar, Dagan Setchell). 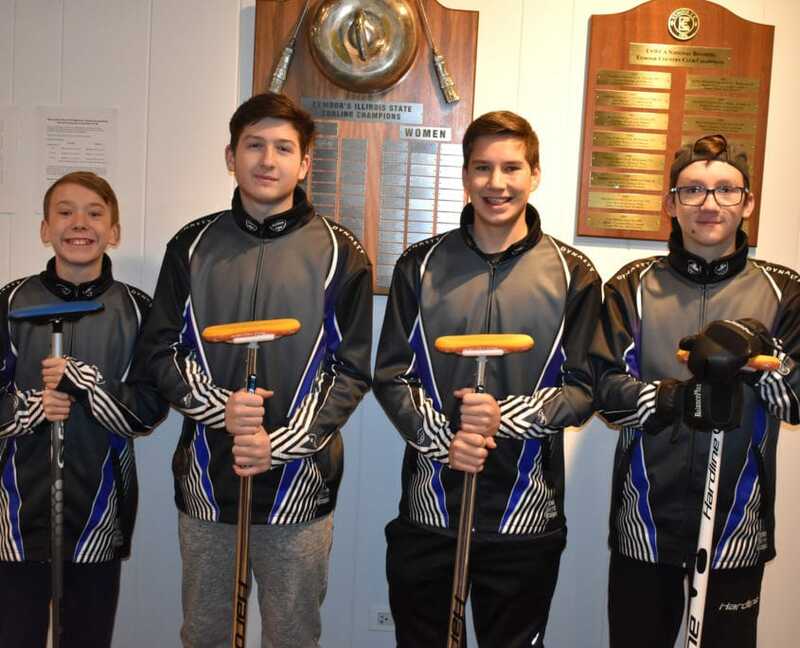 Established in 2017 by the USCA, the U18 National Championships was created as a regional curling competition for individuals under 18 years old. 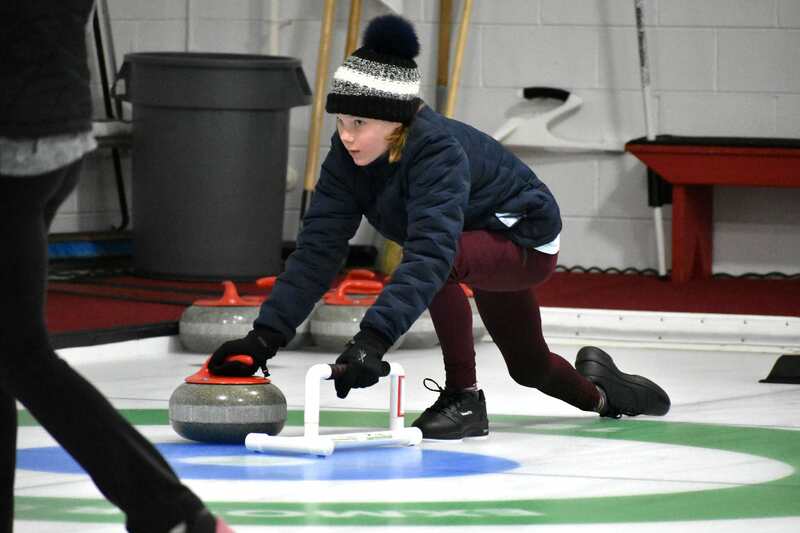 Twelve girls and twelve boys teams will compete from March 12-17, 2019 at the Chaska Curling Center in Minnesota. Good curling to all six teams and thanks for a wonderful event! Also, thanks again to all the coaches, family, and friends for making the trip to support their team! We look forward to cheering on the Midwest Curling Association representatives from Waltham and Exmoor in the upcoming year! 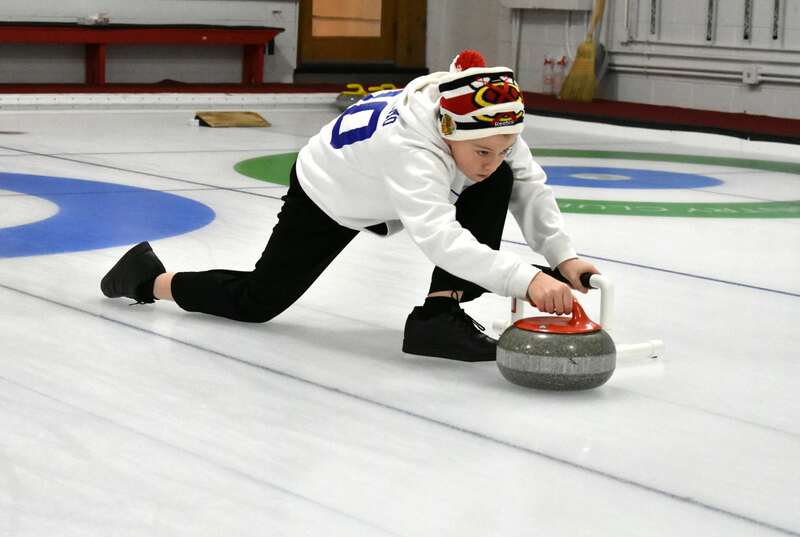 This past weekend, sixteen teams from six regional curling clubs participated in this two-day event graciously hosted by Exmoor Country Club. The 5 Year & Under provides new curlers with the chance to compete against other MCA curlers. 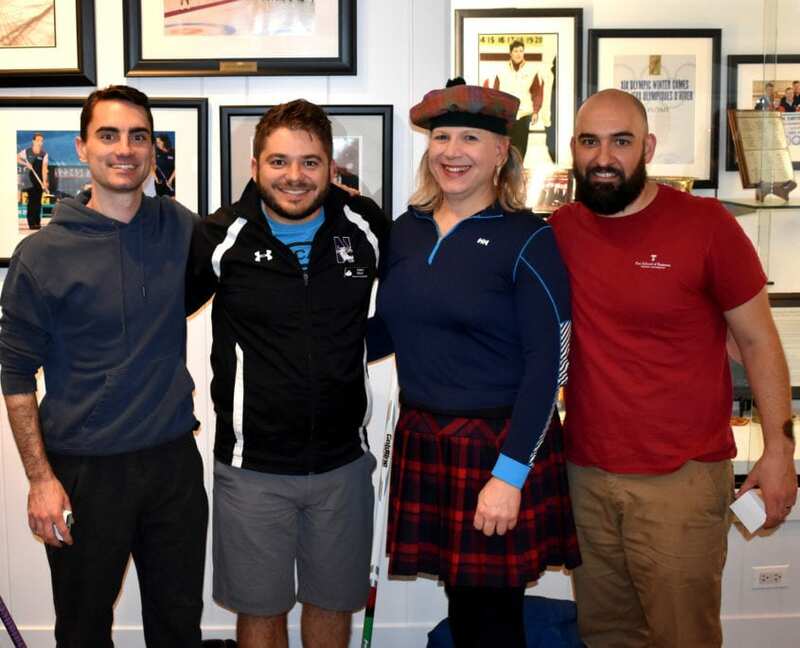 Established in 2007, this open event allows those who have played less than five full seasons of curling the opportunity to gain more experience and play against their peers. 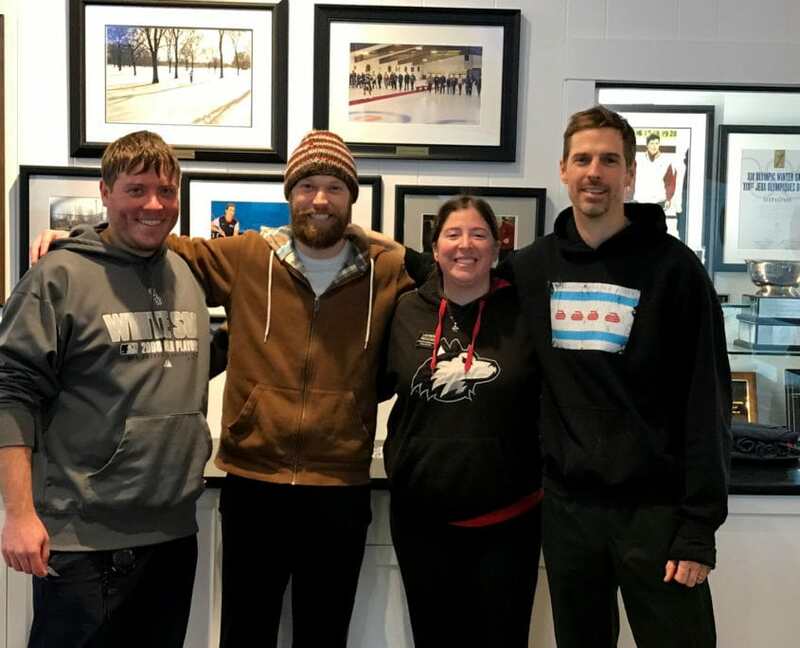 The Midwest Curling Association would like to thank the host club and to extend our gratitude to all the new MCA curlers for a fantastic bonspiel! Hopefully, we see some of you again at the 2019 5 Year & Under! 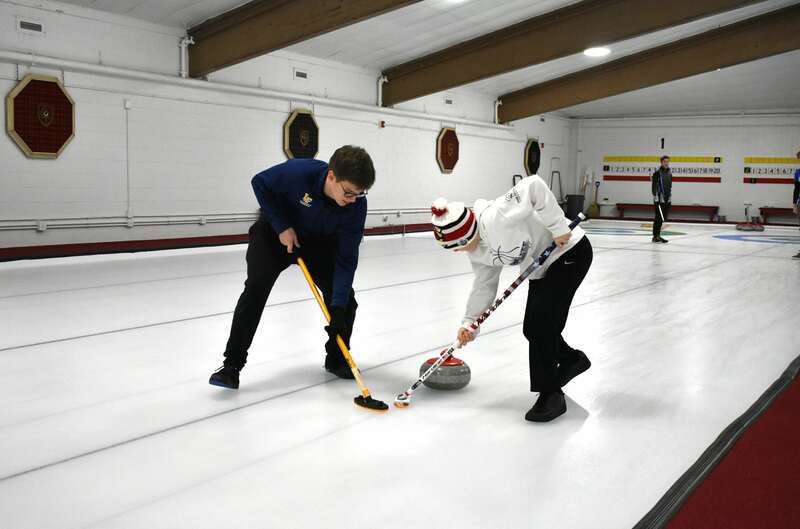 Raising money to fund a new curling facility is no small feat. 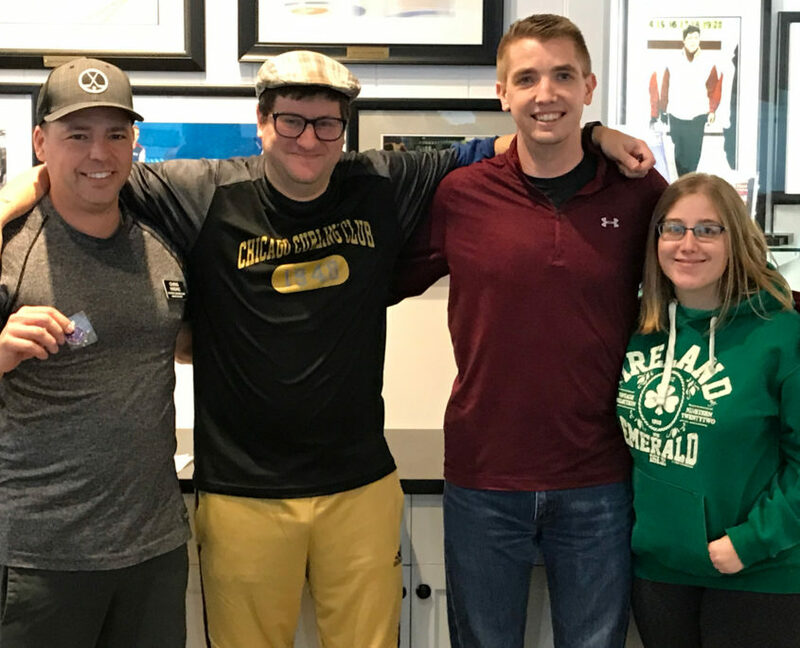 After becoming debt free in 2012, St. Louis Curling Club has held five large bonspiels plus two 1-day spiels to raise money for their dedicated ice. 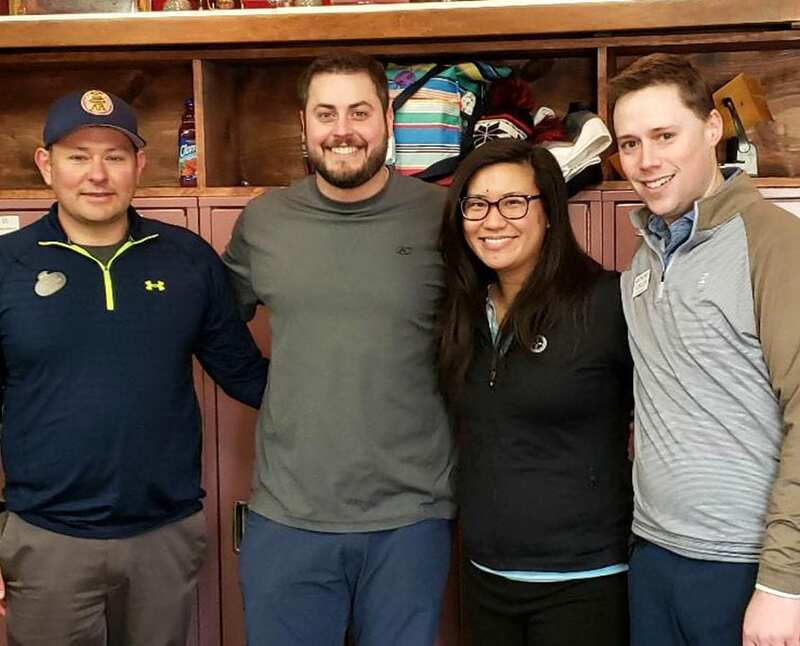 In addition to accepting donations for their members, the club has run several fundraising events, including trivia nights and two footgolf tournaments. Another major fundraising source for St. Louis Curling Club has been their packed Learn2Curl sessions. 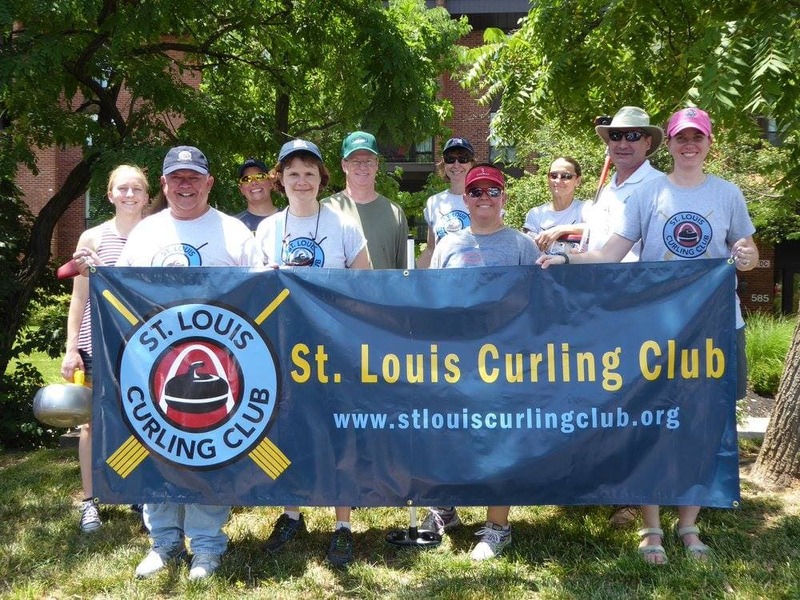 If you are interested in helping St. Louis Curling Club reach their final fundraising goal, donate here or consider attending one of their upcoming events. Members of the St. Louis Curling Club are excited for the new possibilities that dedicated ice facility will bring. The club currently utilizes arena ice; therefore, members curl once a week on Saturday evenings. 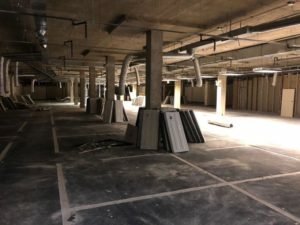 Their new facility will allow the club to set their own schedule, and they will offer a range of events including weekend spiels, a youth program, high school league, adult league, open practice, and corporate events. 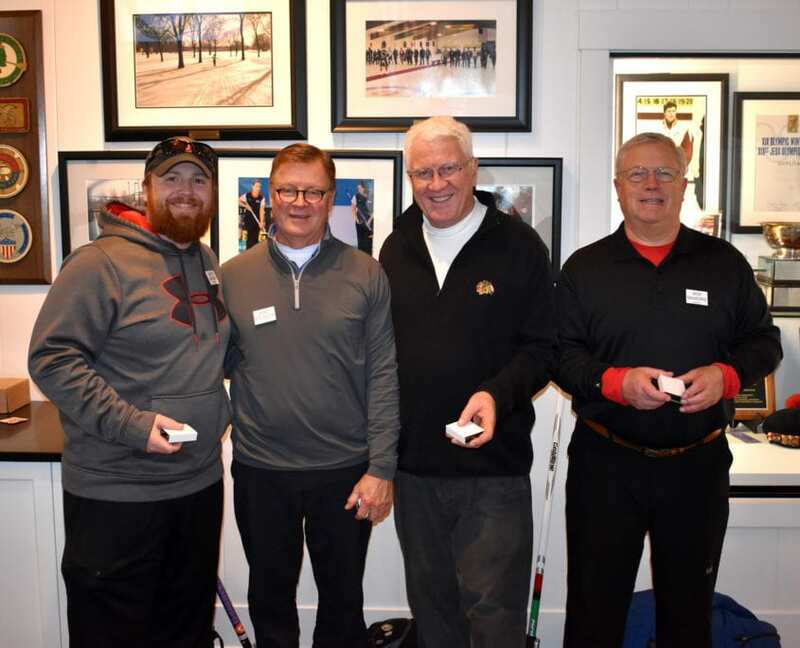 In addition to offering curling seven days a week and welcoming more members, St. Louis Curling Club members are thrilled to have consistent, flat ice with permanent houses and hacks. No more lugging stones to and from the freezer after games! 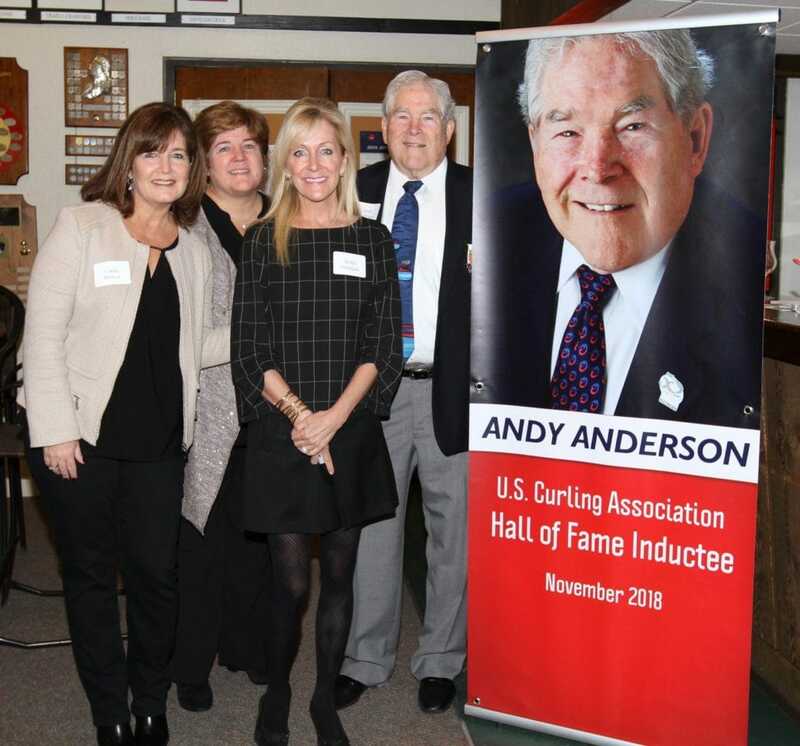 The Midwest Curling Association is tremendously excited for St. Louis Curling Club and wants to congratulate them on reaching this fantastic achievement. 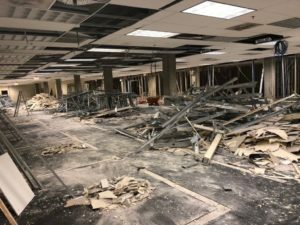 We look forward to hearing more as the building progresses, and we can’t wait to attend the future bonspiels that will be held at your new facility.